I prefer soft cookies to crunchy ones and cookies made with pudding are always delicious. These Vanilla Pudding Cookies are so tasty and the addition of Hershey’s Eggies makes them irresistible! 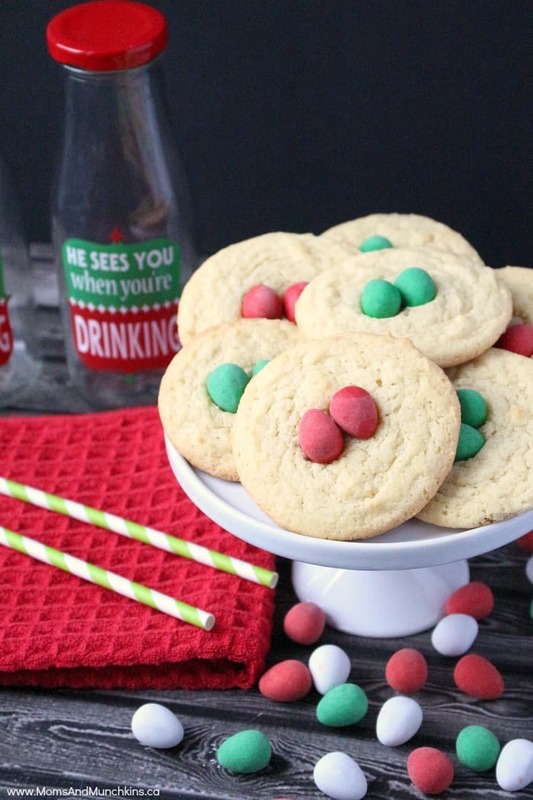 These are a great holiday treat for kids but I’m sure you’ll love them so much that you’ll want to make them all year long. When I first baked them, I ate way more than my share. When it comes to cookies, I totally lack willpower. I tried these cookies a couple of different ways. First, I baked the cookies right with the Eggies on top and then the other batch were baked without Eggies and I added them on after. I’d recommend baking the cookies without the Eggies on top. I found that he Eggies really weigh the cookie down and they end up spreading to really thin cookies. They look a lot better if you press the Eggies into the top right when you take them out of the oven. The candies still stick to the top but you end up with fluffier cookies. I'd recommend adding the Eggies to the cookies as soon as the cookies come out of the oven. 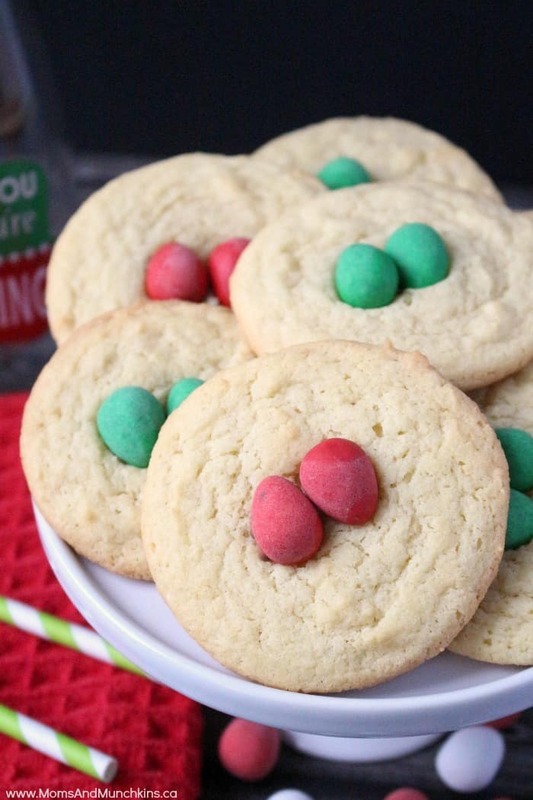 If you bake them on top, the cookies will spread into more thin & crunchy cookies. Add the Eggies onto the cookies fresh out of the oven and you'll have fluffier and softer cookies. Beat butter and sugar together until creamy. Add flour, pudding and baking soda and beat until well mixed. Add cookies (two tablespoon size per cookie) onto greased cookie sheet. Bake for 10-12 minutes (until cookies brown on the bottom). As soon as you remove cookies from the oven, press 2 Hershey's Eggies into the top of each cookie. Cool on cookie rack then store in fridge. We’re always adding new & tasty ideas. Stay updated by following us on Facebook, Twitter, Pinterest, and Instagram. What a fun cookie! Thanks for linking up with What’s Cookin’ Wednesday!